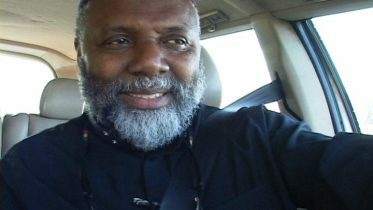 According to Abdullah Abdul Raheem; there are very small Muslim community (150-200 ) in St Lucia. The community is made up of mainly converts or locals, who are of African descent, but who also include immigrants from the Middle East, South Asia and other Caribbean countries. Islam has been revived in St Lucia in the early 1990’s. Some locals who lived abroad came back home to settle down (mainly from the USA). One of the main brothers Abdul Rabb was instrumental in having his presence as a Muslim felt on the Island. His manner of dressing was not the same as locals and so people would enquire about this and so he would use the opportunity to invite to Islam. Currently we have no actual Masjid. We have some small Musalla. Three in Castries the capital and one in Vieux Fort another town. Business wise we have some Syrian Muslims who run clothing and shoe stores others sell incense oils and perfumes. But the majority of brothers are engaged in the construction industry either skilled as in masons, carpenters or semi skilled laborers. The rate at which people embrace Islam is on average 1-2 per month, mainly males. We have a registered Islam Organisation but it does represent the entire body of Muslims. Our activities such as Eid Salah and Taraweh and Islamic classes (children) is organized by a small group of brothers. abdulraheem@email.com Separate area for sisters/Islamic classes offered. masjidurrahman@gmail.com Every Sunday, after asr a session in tafseer ul quran. The Islamic Association of St Lucia Inc. The Islamic Association of St Lucia Inc.
775-8223352 The business is a Village shop and sells general food stuff as well as sweets confectionary, Rice, Sugar flower Milk eggs and the like as well as Chicken and Meat for the local people. jackiegooding@excite.com Halal Food served. Halal Stewed Chicken, Halal Fried Chicken, Salt Fish, Fish Meals, Dates, Ground Provisions Macaroni & Cheese, Rice and other Halal Foods. 5 Comments on "History of Muslims in St Lucia"
I got a job in St Lucia . Wanted to know about Muslim Community at SL. Assalam Alikum; I am willing to help building Masjed. Dear Sameer, I am Faheem from Pakistan. where do u study in St. Lucia? my daughter also intended to come to st. Lucia to study medicine. you can be helpful for me. my email is “faheemkhan109@hotmail.com”. please contact.